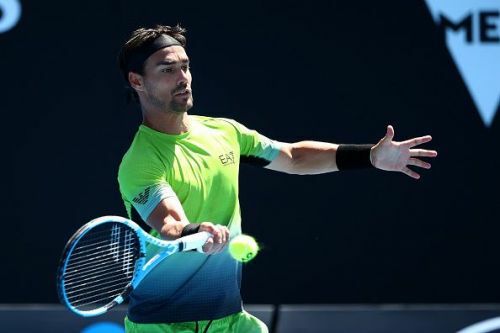 After the Australian Open and the Davis Cup Qualifiers, ATP World Tour action returns with a bang with three 250-level tournaments lined up in different parts of the world this week. Cordoba Open is making its grand debut this year and officially kickstarts the Latin American clay swing, better known as the 'Golden Swing' that will continue for five weeks. Cordoba in Argentina has had its dalliance with football having hosted World Cup football qualification matches but this will be the first time it will be home to an ATP event. In its very first year, it has managed to attract some of the top stars of the game. World No. 15 Fabio Fognini is the top seed and has got a bye just like the other three of the top 4 seeds. Fognini did not travel all the way to Kolkata in India for Italy vs India Davis Cup Qualifier tie and should be fresh for this tournament. Second seed and World No. 19 Marco Cecchinato, also of Italy, did go to India but was kept out of the Davis Cup Qualifier -- a decision that surprised many. It could all pay off on the red claycourts of Cordoba this week. Local hope Diego Schwartzman is the third seed. The World No. 20 will carry the hopes of his nation and is sure to receive tremendous support in his home tournament. Pablo Carreno Busta, the 23rd ranked Spaniard, is the fourth seed and will be eager to build on his sizzling Australian Open run that saw him bowing out of the season's first Major in a dramatic five-set thriller in the pre-quarter-finals.